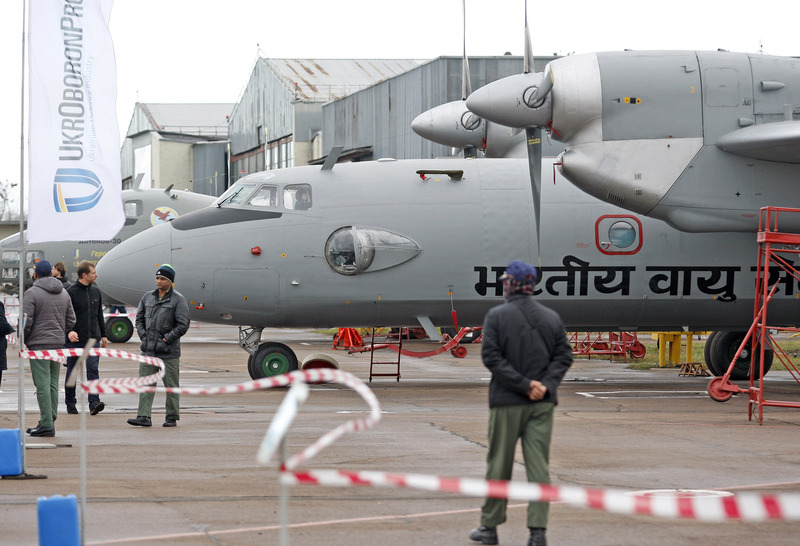 Representatives of Indian Air Force during the handover of 5 modernized AN-32RE planes for IAF on November 19, 2015 in Kiev, Ukraine. Ukraine wants to enter the lucrative market to upgrade India’s Soviet era weaponry, but New Delhi must stay away from this dysfunctional country. A year after the fiasco of losing five IAF aircraft sent to Ukraine for upgrades, the dysfunctional country is making a renewed pitch to re-enter the Indian defence sector. At the recently concluded Defexpo in Goa, Perto Fedoruk, chief adviser to Ukraine’s largest defence industry consortium, Ukroboronprom, offered to break the “Russian monopoly” in the maintenance and upgrade of India’s Soviet era weapons system. Jutarnji List says even the five planes that Croatia did end up buying from Ukraine were put together using parts from all over the world - the hull is Bulgarian, wings from Algeria, and only the gas tanks have Russian insignias on them.